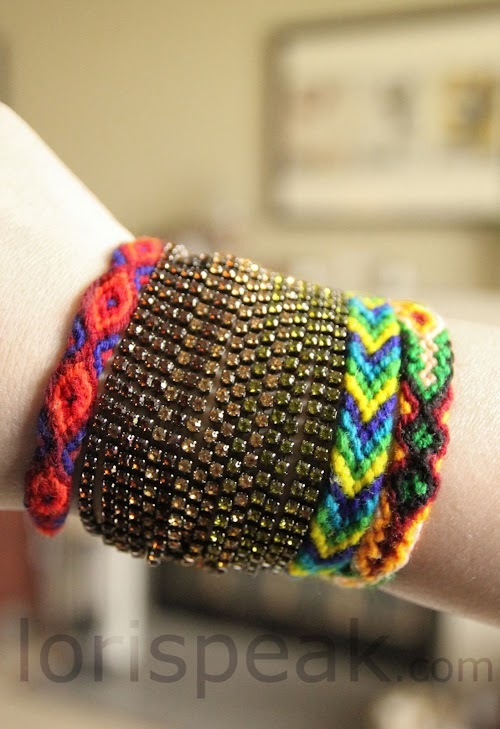 Maybe you've heard, but friendship bracelets are on the rise as a trend this year. I'm totes on board. 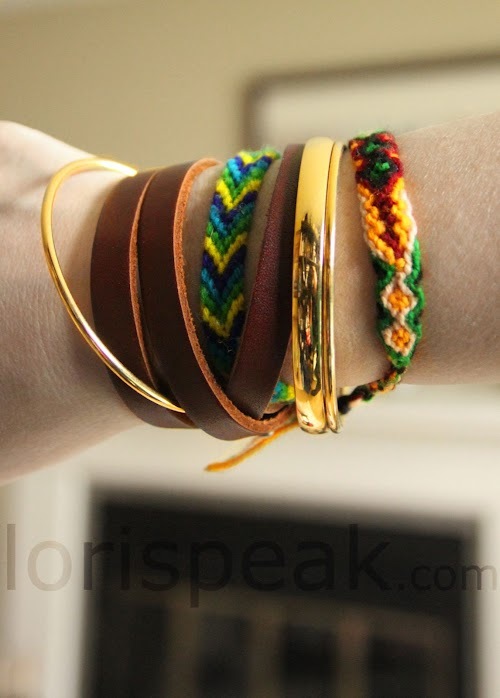 Traditionally, friendship bracelets are given from one person to another as a sign of the bond between the two individuals. Typically, this gift is especially meaningful because the giver has spent a lot of his/her time into crafting said bracelet. 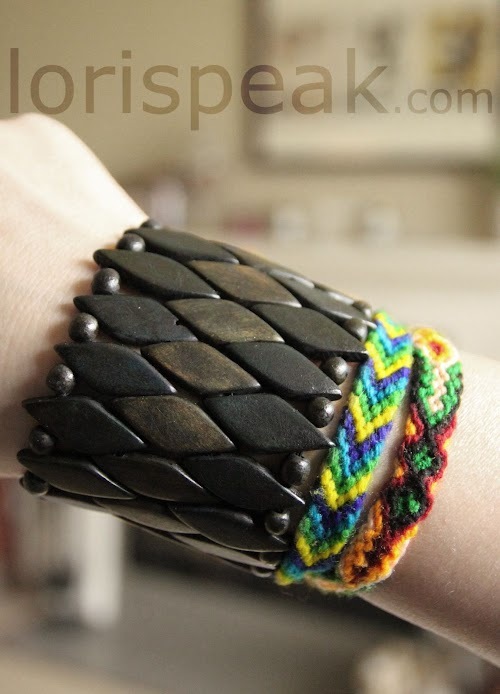 Well, now you can just buy your friends bracelets. And they come in all sorts of fun mixed-media flavors. I bought my four friendship bracelets at Forever 21 for $3.80. I don't see mine on the website, but you can find them in stores. These remind me of the ones we made each other back in 3rd grade. They don't have all the fancy mixed media elements that are currently hot right now, so I mix them into my wardrobe with other arm candy: watches, rhinestone bracelets, gold bangles, leather wrap bracelets. I love the eclectic feel of it. Friendship bracelets feel so wonderfully low key that pairing them with über lux items is a fun game of contrasts. Plus, the bracelets themselves add a wonderful punch of color that will be perfect for summer days (or for pretending it's summer already). What about you? 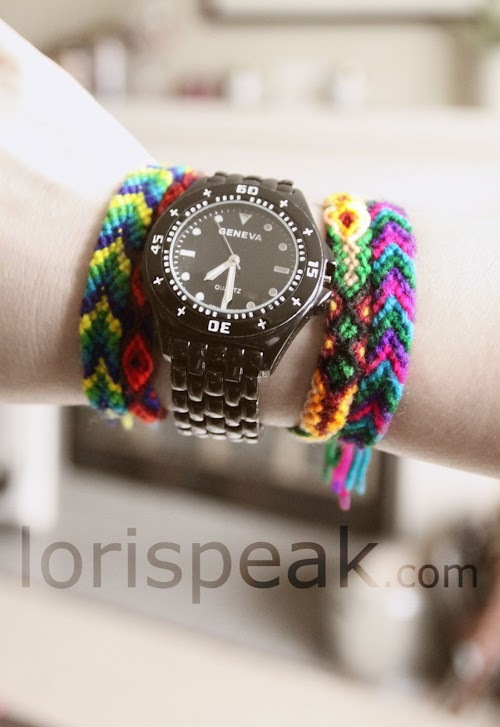 What do you think of the friendship bracelet trend? Would you wear them? How would you style them? I think they are totes fun! I don't wear that many accessories but I am totes lovin' #4 & #6! hmmm...it would be fun to make one of these again!! I remember making them too..in 2nd or 3rd grade? It's a cheap and cheerful way of adding a little colour to outfits. You're right, they do look eclectic. I bought a few from Peru a few years ago, so will have to bring them out! I think this look is so fun. I tried making one the other day and tied the knots way too tight, so it curled up on itself.